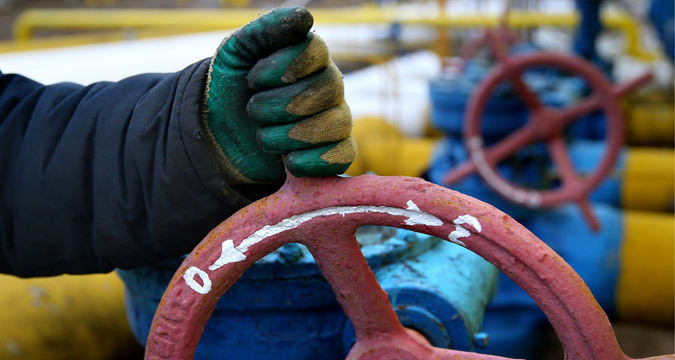 Supplies of Russian gas to Naftogaz Ukrainy are being stopped on Nov. 25. Supplies of Russian gas to Naftogaz Ukrainy are being stopped on Nov. 25 because prepayments have ended, and new money has not arrived, Gazprom CEO Alexei Miller told journalists. "Today as at 10:00 a.m., Naftogaz Ukrainy selected earlier prepaid volumes of Russian gas. New prepayments have not arrived. There are no applications for gas supplies from Naftogaz Ukrainy. So, supplies are being stopped until new payments arrive from the Ukrainian company," he said. "At the same time, already now, before the arrival of serious cold, Ukraine has begun the active offtake of gas from underground storage facilities, which were not filled sufficiently. The refusal to buy Russian gas is creating serious risks for the reliable transit of gas to Europe along the territory of Ukraine and for the gas supply of Ukrainian consumers during the approaching winter," Miller said.